There’s nothing worse than cleaning up after a messy tradesman. Dust can get everywhere, even with the doors closed. At Andrew Batey & Sons, we strive to go above and beyond to reduce the traces we leave behind, hence we invested in a pretty amazing bit of kit . . . 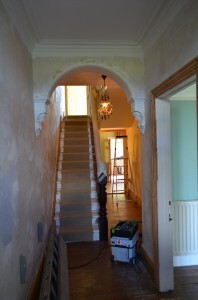 The Festool Sander and Dust Extractor. Not only does it make the clean-up easier, it’s much healthier for you and me! 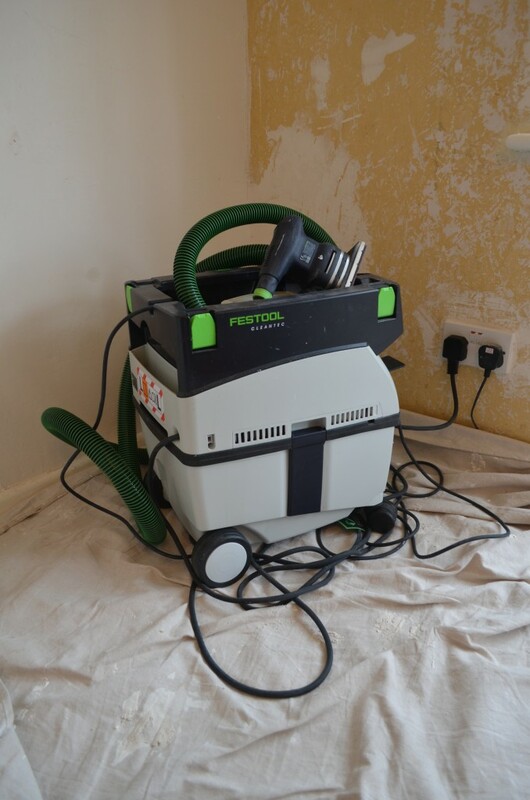 The Festool Sander and Dust Extractor reduces the amount of dust created during the prep work by a whopping 95%. So I breathe in less whilst at work, and there’s little or no remnants when you walk through the door. Everyone’s happy! So, if you’re looking for a decorator in the Tyne Valley area, who appreciates a clean workspace and happy customers, give us a call. This entry was posted in Services and tagged andrew batey and sons, choosing a decorator, Decorating services Hexham, decorator in northumberland, decorator in stocksfield, Dust Free Sanding, painter decorator hexham, painter stocksfield, Stocksfield, wylam.